Amazon.com Inc.’s revenue from its India marketplace more than doubled in the year through March 2017, as the online retailer continued to expand its operations. Amazon Seller Services Pvt. Ltd, the marketplace arm and the flagship unit of Amazon’s India operations, reported revenue of Rs 3,129 crore for 2016-17, show a filing with the Ministry of Corporate Affairs. The spokeswoman didn’t specify the other line items but said the overall figure includes revenue from sources other than its core marketplace business where it earns fees and commissions from sellers. The spokeswoman also didn’t divulge the proportion of the marketplace revenue in the gross revenue figure. Amazon Seller Services, however, is yet to file the financial statements for 2016-17. Amazon Seller Services runs the e-commerce marketplace, including a sellers’ network. While sellers’ commission and services account for its core operational revenue, it also earns revenue through services provided to its parent. An industry executive in the know of things, who did not wish to be named, said that Amazon’s India operations act more on the lines of a brand lease-out by the parent. Hence, any expenses related to promotions, marketing and advertising incurred by the Indian arm are charged to the parent and are recognised as revenue. The revenue figure of Rs 3,129 crore is likely to include this expense, he added. Amazon has been expanding rapidly in India and investing millions of dollars to compete with homegrown rival Flipkart. 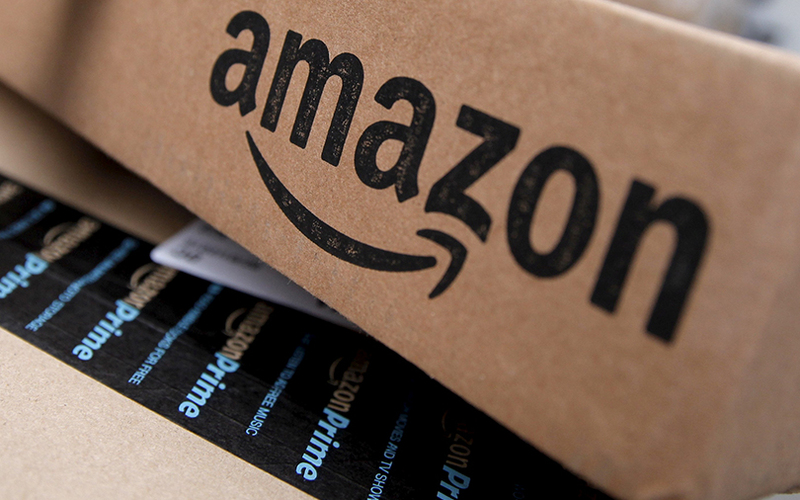 Earlier this month, VCCircle reported that Amazon pumped in an additional Rs 2,900 crore ($446 million) into its main India arm and nearly doubled its authorised share capital to Rs 31,000 crore ($4.74 billion). This reiterated the investment commitment by Amazon towards its Indian operations. According to industry estimates, Amazon is yet to reach the $5 billion investment mark that its founder Jeff Bezos had committed to India in 2015. As and when the entire investment is made, it would perhaps be one of the largest solely equity-funded Indian entities, according to an earlier estimate by VCCircle. Based on information available from Indian corporate database Capitaline, Amazon’s marketplace arm would become the second-biggest Indian company in terms of authorised capital, only next to Reliance Jio at Rs 61,000 crore. Cloudtail India Pvt. Ltd, which is part-controlled by Amazon.com Inc and is believed to be the single-largest vendor on its Indian e-commerce marketplace Amazon.in, clocked revenues of Rs 5,988.7 crore ($880.6 million) for the year through 31 March 2017, according to the company’s filings with the Ministry of Corporate Affairs. This reflected a 24% jump from FY16 when it registered a four-fold rise in revenues to Rs 4,591.2 crore compared with Rs 1,145.4 crore in FY15. The muted rise in revenues could be attributed to last year’s foreign direct investment (FDI) guidelines which stipulated that Indian e-commerce firms can sell only 25% of their goods from a single vendor. Cloudtail, which started operations in 2014-15, is owned by another private firm Prione Business Services Pvt. Ltd. Prione, in turn, is a 51:49 joint venture between Infosys co-founder NR Narayana Murthy’s personal investment arm Catamaran and Amazon. Meanwhile, WS Retail, Cloudtail’s counterpart with Flipkart, is also yet to file its financials for FY17. According to data from VCC Edge, the data research platform of News Corp VCCircle, WS Retail posted a profit of Rs 5.2 crore in FY16 on net sales of Rs 13,567 crore.